Do you want to give an elegant look to your dining room? How about buying this Nixon 6 Seater Dining Table? This dining table can be the perfect change that you are looking for in our house. It has a strong tempered glass top with a fascinating veener base. 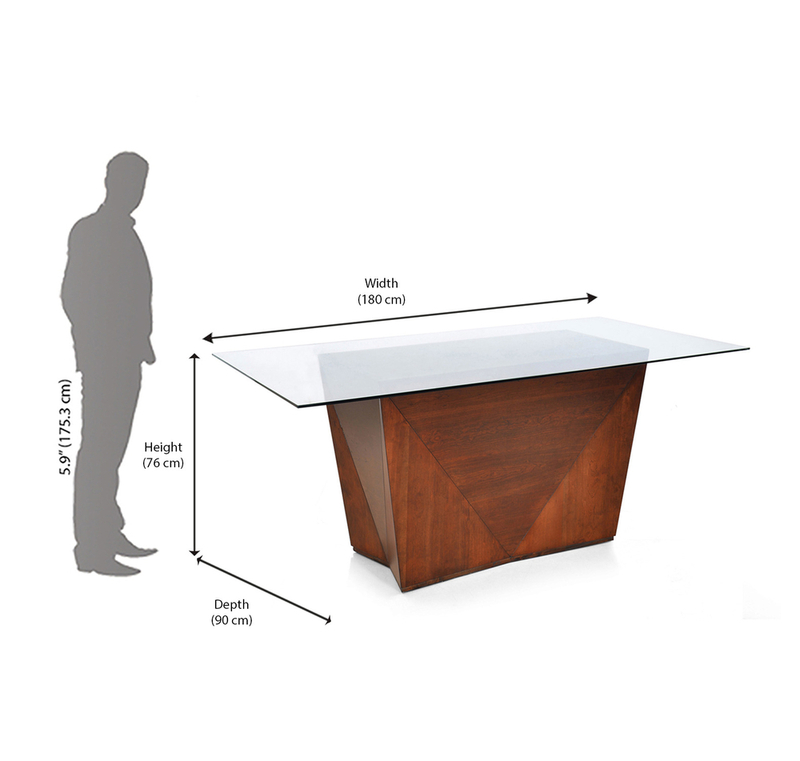 The shape of this table is specifically designed to give a touch of modern as well as contemporary look that may easily match up with your home decors. Made from engineered MDF wood, this dining table assures durability and reliability. A family who dines together, stays together. This simple object has the potential to bind all the members of a family together over a simple thing as a dinner. If you are bored of munching on the same old, dusty wooden dining table, then its time that you make an ideal choice by picking this table. Place it at the center of your dining area or any other angle thatyou may find appropriate and steal some admirations from your guests for your fancy dining room. Strengthen family ties and interaction by bringing home this eye-catchyyet classy Nixon 6 Seater Dining Table from @Home.